In suicide chess, the object is to lose all of your pieces, leaving yourself with nothing left on the board. It's easy to understand why this game is often called "antichess," as all of the normal rules of strategy and tactics are turned on their head. Suicide chess is one of the most popular variants of chess around, with several different versions of the game being played around the world and on online chess servers. In suicide chess, your pieces will move and capture just as they do in a regular chess game. However, there is one critical rule that drastically changes how the game is played: if a capture is available to you, then you must capture one of your opponent's pieces. It is often the case that you'll have the option to capture more than one of your opponent's pieces; in that case, you can choose to capture any piece you like. Another critical change in suicide chess involves the king. If you must lose all of your pieces to win the game, you'll need to lose your king at some point as well. As such, in most versions of Suicide chess, check and checkmate simply do not exist. Your king functions as a normal piece and can be captured and traded like any other piece on the board. In addition, there are often other rule changes; in some versions of the game, castling isn't allowed, and pawns are sometimes allowed to promote to kings as well. The winner of the game is the first player to lose all of their pieces. There are several situations in which a draw is possible, namely if it is impossible to capture the final pieces (such as when opposite-colored bishops remain on the board), the game will end in a draw. Other draws in Suicide chess mirror those in standard chess, such as agreed draws, repetition of position, and so forth. One interesting possibility is that of stalemate. If either player cannot make a legal move, the game is clearly over, but rules vary on how to determine the outcome. In some rule sets, the game is a draw; others give the win to the stalemated player or to the player with fewer pieces remaining. Believe it or not, suicide chess actually has a rich heritage of strategic knowledge, and a lot of effort has been put into finding the best openings and general principles of play for this variant. The following are just a few of the many strategic insights that have been developed for suicide chess! Keep in mind that many openings for white lose on the spot against correct play - sometimes, even as early as the first move! For example, known losing first moves for White include 1.d4, 1.e4, 1.Nf3, 1.Nc3, 1.d3, 1.f4, 1.b4, 1.h4 and 1.h3. If you'd prefer not to lose right off the bat, 1.e3 is a good choice, with e6 being an excellent reply for black. As the game continues, some of the strategy employed by strong suicide chess players may seem counter-intuitive. 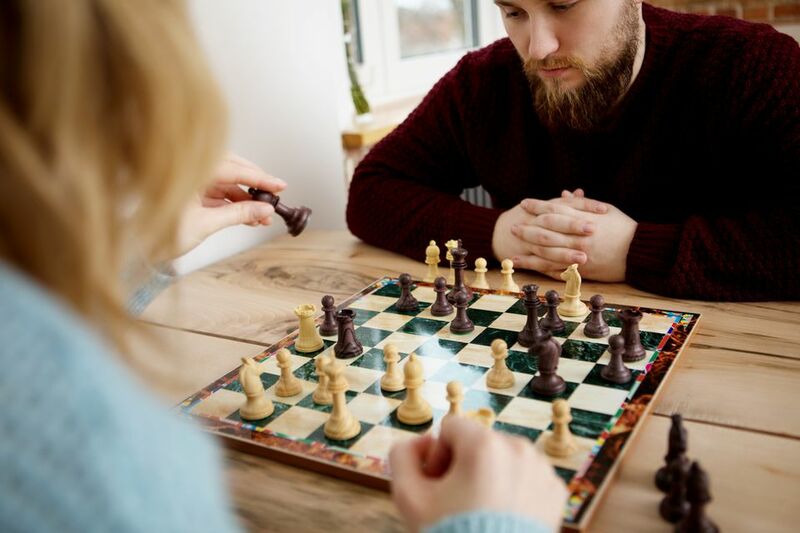 For instance, it's often correct to capture the opponent's pieces in order to gain a material advantage, even though that would seem to suggest that you're "losing" the game! This is due to the fact that having more pieces will allow you to have more "safe" moves that don't lead to disaster (particularly true when you have your king). Once a player is down to just one or two pieces, their options are heavily restricted, and it is often the case that they can't escape a string of captures that allows the other player to win the game.